After an unusually warm and dry winter in many parts of the country, it’s more important than ever to conserve water as summer approaches. What can you do to save your lawn and save money on your monthly water bill? Here are a few easy tips to help you be more water wise with your landscaping. Prevent water evaporation: Water your lawn early in the morning or in the evening, especially during the hot summer months. Never water on windy days. Use drip irrigation systems for bedded plants, trees, or shrubs and use low-angle sprinklers for lawns. Also, be sure to cover pools and spas to prevent loss of water through evaporation. One inch of water is enough: Just one inch of water each week will keep most grasses healthy. 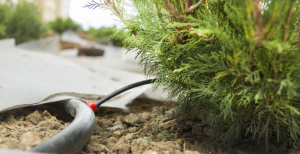 To determine how long you should run your sprinklers — place straight-edged cans at various distances away from each sprinkler and time how long it takes to fill an average of 1 inch of water in each can. Mulch… Mulch… Mulch! : Cover all flower beds and planted areas with mulch. It keeps the soil moist and slows down the evaporation of water from the soil, allowing water to infiltrate it efficiently. Maintain at least a 2 to 4 inch layer of mulch in all planted beds and containers. Maintain your sprinkler system: Repair any broken, missing or misdirected sprinkler heads. You should also install rain and freeze sensors on your sprinkler system and monitor your total water usage. 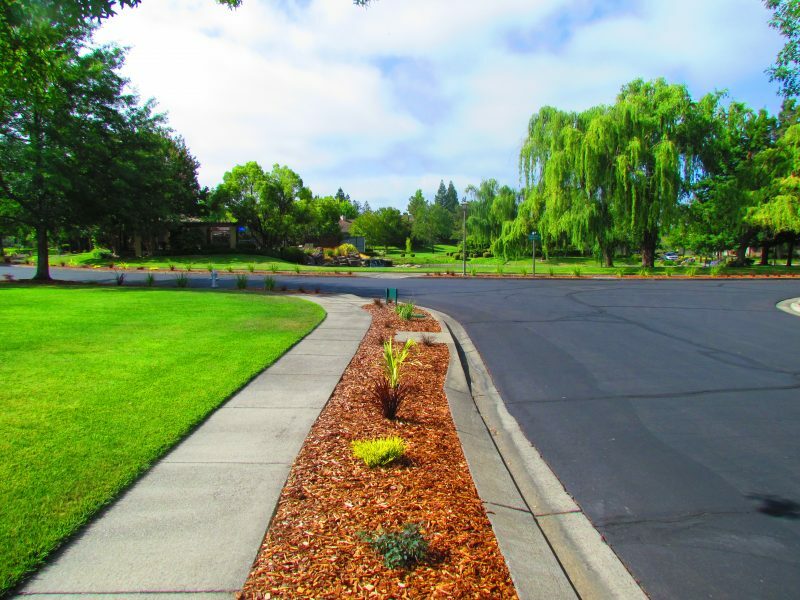 Terracare Associates can help with any of your landscaping needs from installing a more efficient irrigation system to laying down mulch in your plant beds. Visit our website to see what we can do for you.